A robust sports management and communication platform for schools. 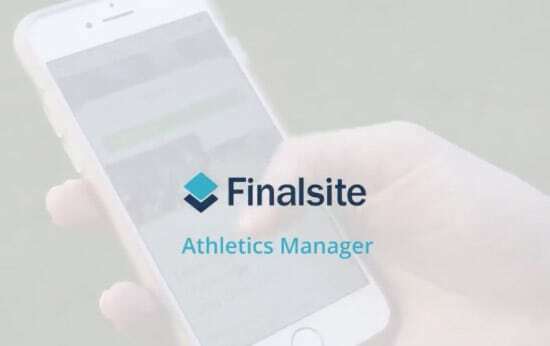 Promote your sports program to engage your community, using Finalsite's Athletics Manager. Athletics Manager provides your school community with all the tools needed to stay connected. Coaches can easily schedule, cancel or postpone games, manage teams, and post rotas and coach profiles — from their office or the sidelines. Athletics Manager content — such as teams, rotas and coaches — can be added anywhere on your website in seconds, giving you the power to promote your athletics and sports community. "The goal is always keeping everyone, parents, students, staff, tied into their most current information. Finalsite has helped us streamline our approach, especially for our Sports department."